This is for the child who has learnt how to write the alphabet and is just beginning to write words. These worksheets will not ask your child to write any sentences. Similar to the game of scrabble discover how many words your child can make from nine letters. 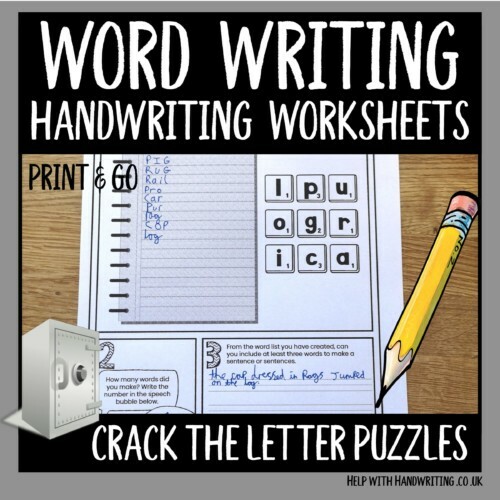 There are 3 different ‘crack the letter puzzle’ worksheets to complete. Use the words found to make sentences.